Initially, at the behest of a group of devotees in Delhi, who formed a Society in the name of Arsha Dharma Parishad, the Delhi Development Authority (DDA), in the year 1975, allotted a plot of land in Janakpuri for construction of a temple. However, the temple could not be constructed at the allotted site in Janakpuri due to astrological reasons. Subsequently, thanks to the initiatives of the devotees in Mayur Vihar Phase-1, under the name of Sree Krishna Mandir Samajam, the allotment of land was transferred to Mayur Vihar Phase-1. In fact, the Lord’s will was quite evident in the manner and sequence of events which unfolded subsequently. It was as if the Lord Himself had decided that He wanted this temple at a site overlooking the banks of Yamuna. Furthermore, this is one of the few Vishnu temples where the idol is facing the West, in a bid to look towards Yamuna, instead of the traditional temple science of facing the East. The Balalaya was consecrated on 8th April, 1983 by Prof. Vezhaparambu Parameshwaran Namboodiripad, with the Divya Vigraham (idol) of Lord Guruvayurappan, which was brought from Kerala. Prof. Vezhaparambu Parameshwaran Namboodiripad, an eminent Temple Architect, designed the present temple. Under his able guidance, Brahmamangalam Subramanian supervised the construction of the temple. The foundation stone for the Garbha Griham (Sanctum Sanctorum) was laid by Kanchi Kamakoti Peedatheeswar His Holiness Jagadguru Jayendra Saraswathi Sankaracharya Swamigal on 2nd October, 1986. 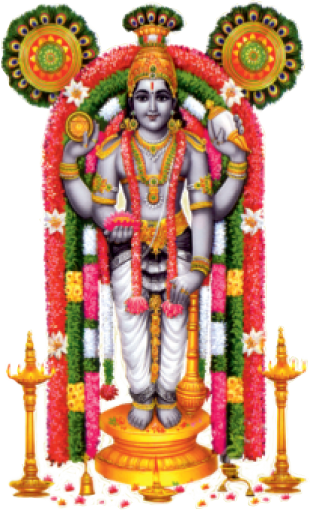 The Divya Vigraham of Lord Guruvayurappan was consecrated in the new temple on 17th May, 1989 with Kumbhabhishekam. The Thantric rights of this temple are vested with the Puliyannur Illam, in Trippunithara, Ernakulam. The principal deity of this Temple is Sree Guruvayurappan (Lord Vishnu), who bestows his immeasurable blessings on the devotees who visit the Temple in large numbers to offer their prayers. 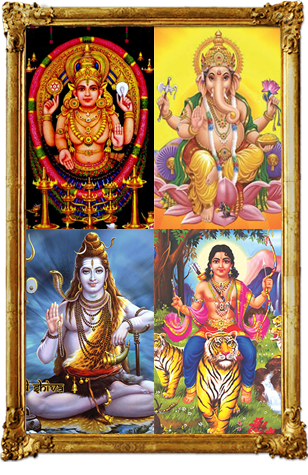 Chottanikkara Bhagawathy (Devi), Lord Siva, Lord Ganapathy, Lord Ayyappa and Naga Devata are the other deities whose presence enhance the divine aura of this temple. The year 2014 was the Silver Jubilee Year of the temple. The yearlong celebrations were inaugurated by Poojya Gurudev Sri Sri Ravi Shankar on 31st August, 2014. To commemorate the Silver Jubilee Year, an ambitious project for gold covering the Dhwaja Sthambham (Kodimaram), in order to enhance the Deva Chaithanyam (Divine Aura) was executed. With the enormous support of Lord’s devotees, the gold covered Kodimaram was dedicated to the Lord as a unique offering of the devotees. The consecration of the gold covered Kodimaram was performed with elaborate thantric rites and rituals under the auspices of Thantri Brahmasri Puliyannur Sasi Namboodiripad on 30th May, 2014. The Temple is managed by Arsha Dharma Parishad (Regd), an organisation registered under the Societies Registration Act, 1860.